In the midst of a refleeting exercise in the UAE, and after winning an Indian Non-Scheduled Operator’s Permit (NSOP, effectively an Indian AOC) last December—which it hopes will pave the way for a number of opportunities on the sub-continent—Dubai-based Empire Aviation Group is set to report a strong 2018. “We have undertaken some aircraft replacements for our aircraft owners this year, which has been a terrific year for aircraft sales. Financially we are strong, and the number of planes under management has risen and is now very stable,” Paras Dhamecha, executive director of Empire Aviation Group, told AIN in the run-up to MEBAA Dubai 2018. EAG’s business is predominantly aircraft management and its aircraft owners are the predominant users. “Today, our charter fleet is five or six aircraft out of a total of 20-plus under management. Charter is purely a cost-saving exercise to contribute toward the overall operating and holding costs of these aircraft, but it is not something that is core to those owners,” he said. Empire operates 25 aircraft including this Bombardier Global 6000. The interior of the EAG Bombardier Global 6000 pictured above. Dhamecha said there had been a shake-out in ownership in the past decade. “Today, the aircraft owners who remain are those who can really afford the aircraft, and this is a trend we have seen since 2008-09; only people who can afford or really need an airplane have kept one—but not as a luxury. People who [took] aircraft as an investment or an asset have not stayed in the market,” he said. Dhamecha said more distant destinations are increasingly driving aircraft size. “The reason that these fleet aircraft have grown in size is that people now need more and more connectivity and, in our business, the longer you want to fly, the bigger the airplane has to be. The fact of the matter is, if we have a customer who needs to get from Dubai to Beijing or Tokyo, they need to be in a big aircraft,” he said. Dhamecha said EAG is “very bullish” on India, despite competition from a number of other companies, such as Titan Aviation. It obtained its NSOP in December 2017; “This opens up several opportunities and we are discussing moving forward to operate commercial aircraft. I would like to think we are in pole position on management in India,” he said. EAG has already made inroads into the market. “The Ministry of Civil Aviation announced two months ago that they would allow and recognize management companies. We do have one aircraft that we operate on our Indian AOC, a Legacy 650. If things go well, we will add two-to-three more aircraft this year. Currently, on the aircraft we manage, we have to be the lessor on record. Most of our customers are people who have acquired the aircraft,” he said. The market is very much based on word of mouth. “The concept is: ‘management is not going to cost us; If anything, it’s going to be a cost-saving.’ We offer savings in the resources that owners have to create. We give them the economies of scale, as an international operator of 25 aircraft, compared to the cost of them setting up their own department of 12 people,” he said. “India’s Tier 1 airports are congested but ferrying the aircraft back and forth to Nagpur, which is a four-hour drive, doesn’t make sense. 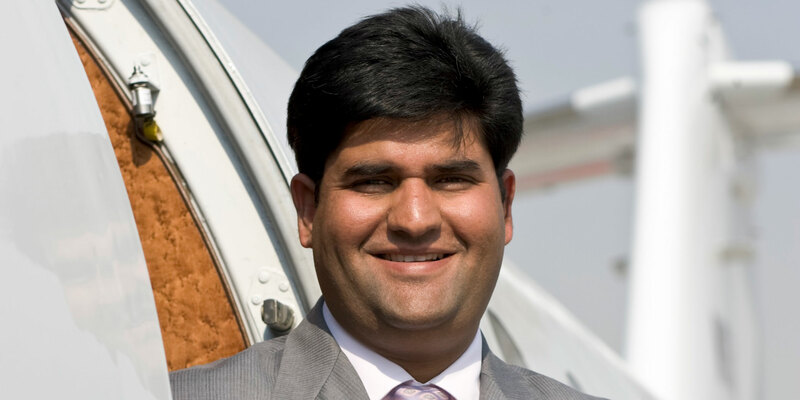 [And] I have not heard of anyone attempting to introduce a full-service executive airport,” Dhamecha reflected. EAG has moved ahead on a Hong Kong-based joint venture, which already has two aircraft operating in Asia, with a view to growing the fleet size in the near future. “As with everything, the Empire philosophy is to build the foundation and then chase after the business, so we are currently completing work on our local infrastructure before growing that business to make sure that we are able to deliver to our own standards,” he said. Many EAG aircraft sales are conducted with the assistance of its office in the U.S. “Arizona is doing well and the U.S. is the largest buying and selling market. In all our transactions, one leg always seems to be in the U.S.,” Dhamecha said.